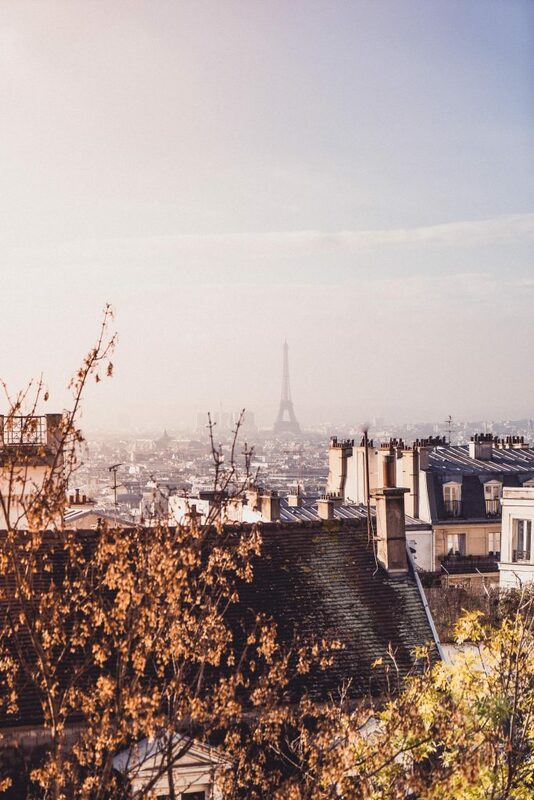 Whether you’re in search of a quirky dining experience or simply want to soak up some history without the crowds that inevitably flock to the rest of the city, the French capital can offer something for everyone. From glorious parks to hidden vineyards, here’s a complete guide to the best of unusual things to do in Paris! The most beautiful park in Paris is easily that of Buttes Chaumont. Complete with a grotto, waterfall, and Classical style temple, this green space is all grand architecture. Built on the site of a former refuse dump, the park was opened to the public in the mid-19th-century. Today this hidden gem of the city is a place where the locals truly hang out, far away from the tourists who inevitably flock to Jardin des Tuileries in the summertime. Nearby, you’ll find other unusual things to see in Paris such as Eglise Saint Serge (a painted wooden orthodox church) and Butte Bergeyre. Those who have visited NYC have no doubt seen the Statue of Liberty, a gift from France to the US in 1886. However, what you may well not know is that the Americans gifted the French a smaller version of the statue in 1889. Today, the Parisian Statue of Liberty is a quarter-scale replica of the original and can be found on Île aux Cygnes (the third largest island of the Seine). 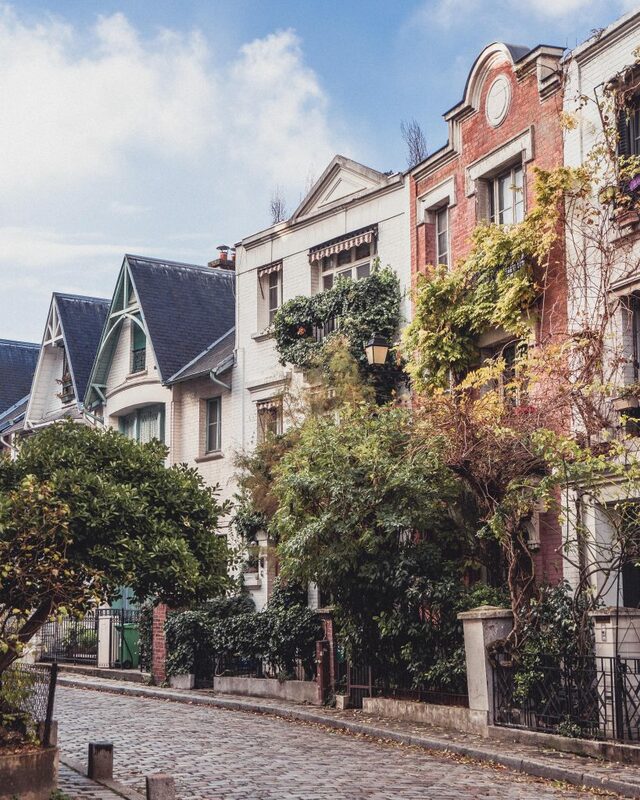 In the very middle of where you’d least expect, somewhere between the Sacré Coeur and the Montmartre Cemetery (a place where ancient tombs can be found below a particularly modern road), Villa Leandré is like stepping into Paris of the past, right into an era when Ernest Hemingway walked the streets of the city. 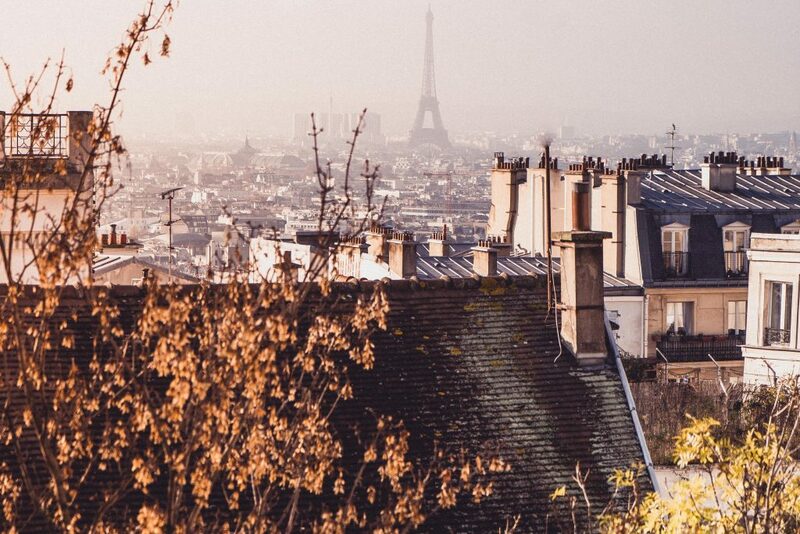 Home to hidden gems such as a beautiful vineyard overlooking the Sacré Coeur, Butte Bergeyre is one of the last remaining ‘villages of Paris’. Before the City of Love grew into the sprawling metropolis it is today, it was confined to city walls, around which little villages grew up. Today, though these villages have since been incorporated into the fabric of Paris, many still retain that ‘small-town vibe’ that many people so adore about the French countryside. 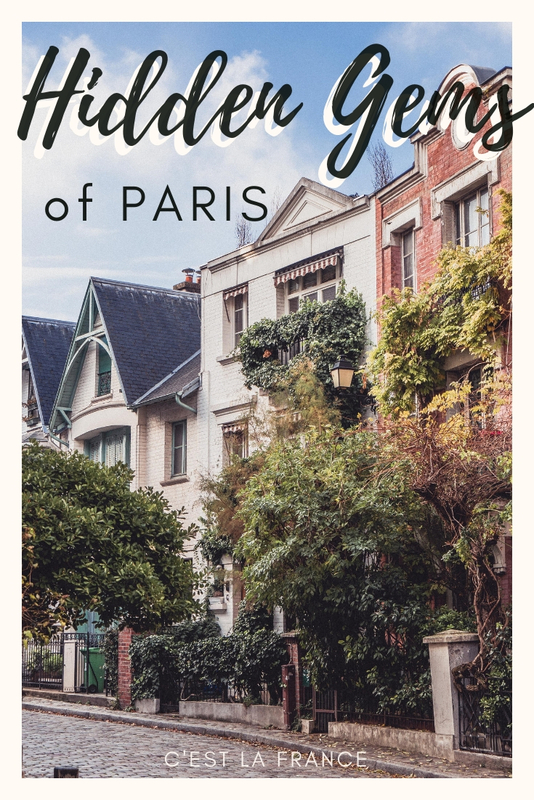 One of my favourites is Butte Bergeyre and it is here in this micro-arrondissement where you’ll find Art Nouveau villas. The last umbrella repair shop can be found in the very heart of Le Marais, one of the most historic quarters of the city. 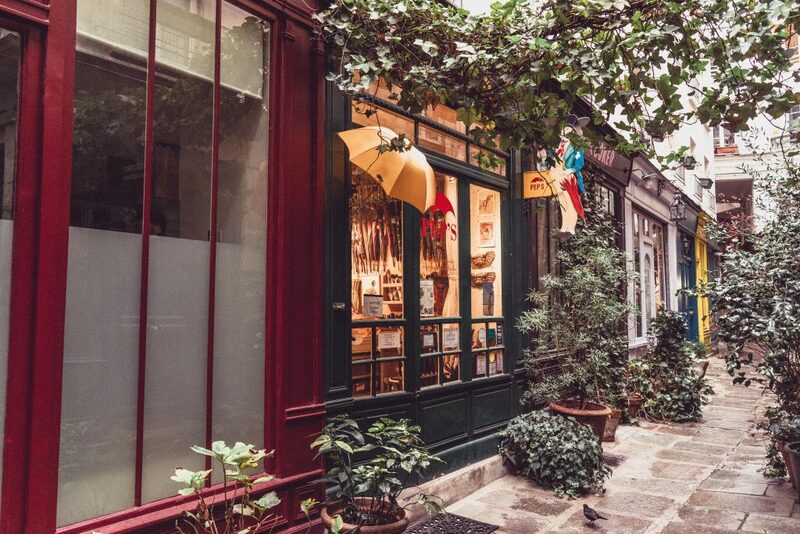 Located along a little passageway that’s otherwise known as ‘Pasage de l’Ancre’ (passage of the anchor), the store can be found amidst leafy vines and on a cobbled lane. Though less of a hidden gem than just a few years ago, Rue Cremieux remains beautiful and worthy of a visit to this day. 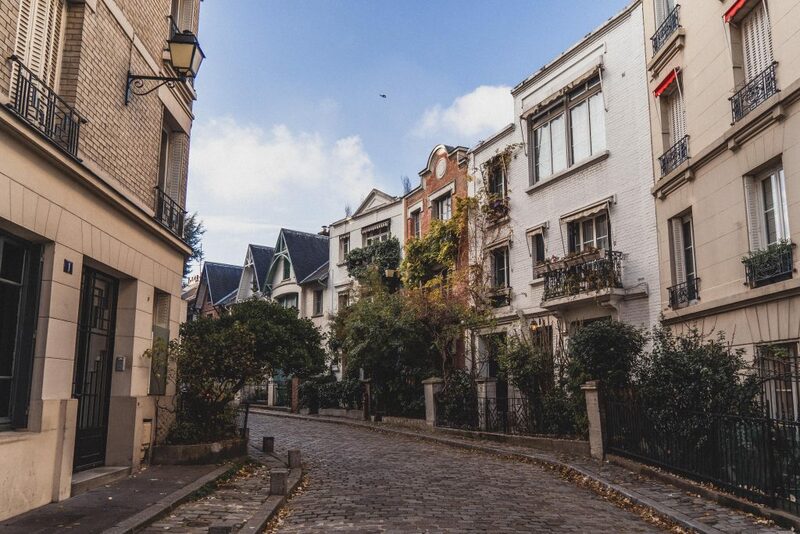 Home to a series of colourful houses that are reminiscent of those along Portobello Road in London, the little-cobbled lane can be found steps away from Bastille. This great roundabout was once the site of a prison and is now home to one of Paris’ largest opera houses. You may well not know this, but there are still a few vineyards in Paris which survive to this day. The most iconic of these is that of the 18th arrondissement, i.e. Montmartre. Often described to be ‘the most expensive bad wine in Paris,’ the vineyard produces a few hundred bottles of red wine each year. Situated on a South Facing slope, the bottles produced are auctioned off at a wine fair each autumn and the funds are used to create projects in the local community. 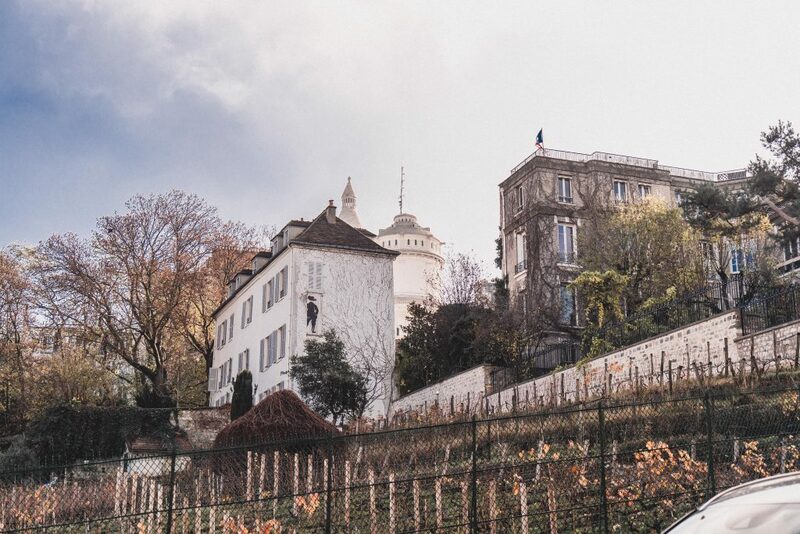 Located just below the ever-so-pretty Musée de Montmartre and close to iconic cabaret, Lapin Aigle, the vines are closed to the public. However, the pretty Clos can still be admired through the iron grill that surrounds the vineyard! Though all visitors to Paris make it their mission to visit Versailles, Vaux-le-Vicomte offers a glimpse into early French Baroque. 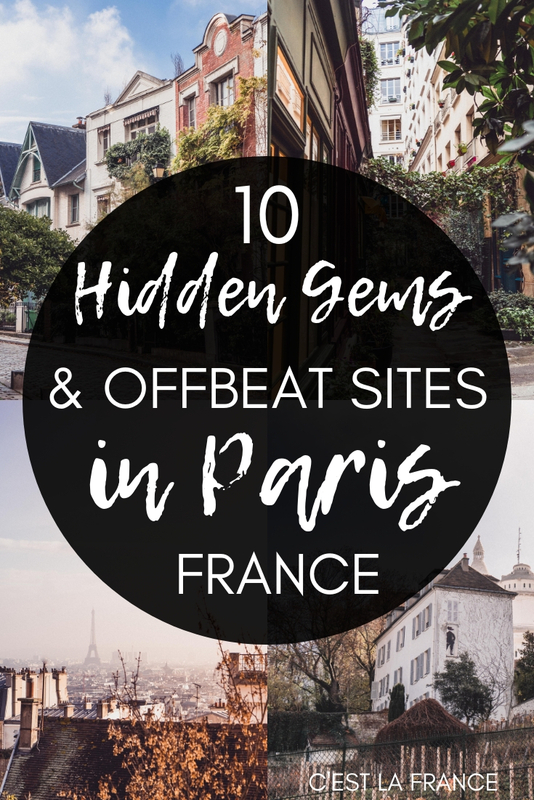 And if you want to visit a French fairytale château but have already been to Versailles, then this is where you should head next! After all, this is the place where the trinity of French Baroque design; André Le Notre (landscape gardener), Louis Le Vaux (acclaimed architect), and Charles le Brun (interior designer) first started. Built by Fouquet, superintendent of finances to the King of France, so lavish was the palace that the King soon grew jealous and threw Fouquet in jail for the rest of his life. The medieval city of Provins was once one of the most important trading towns in l’Hexagon. During the champagne fairs of the Middle Ages, traders would flock to the settlement from all over France and beyond. Today, this UNESCO designated world heritage site is an easy train ride away from the city.